Bananas are considered excellent for skin and hair because they are rich in vitamin A, vitamin B6, vitamin C, potassium, magnesium, manganese, folate, and other nutrients and natural oils. You can derive the various beauty benefits of banana by eating this fruit and applying on your skin to make your skin soft and healthy. For instance, you can mash a ripe banana in a bowl, apply it on your skin for 15-20 minutes, and then wash it off to moisturize the skin. You may add a tablespoon of honey in this recipe. Moreover, banana restores hair elasticity, thereby preventing unnecessary breakage. Plus, banana hair masks provide strength, nourishment and shine to your tresses. In addition, they help add volume in your hair. • Apply a combination of one teaspoon each of banana pulp, honey, and sandalwood powder to maintain younger-looking skin with a natural glow. • Get rid of acne and blemishes by regularly applying a mixture of banana pulp, one tablespoon of milk, one tablespoon of oatmeal, and a pinch of ground nutmeg. 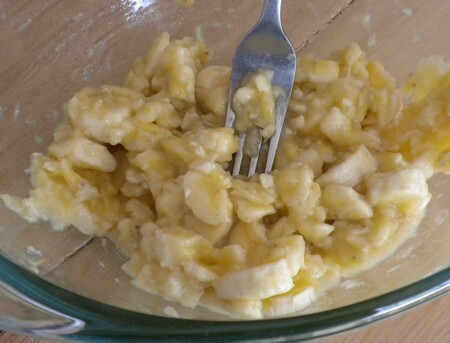 • Mix one tablespoon of plain yogurt and one teaspoon of vitamin E oil in ripe banana pulp. Gently massage this mask on your face and neck a few times in a week, or every alternate day to heal wrinkles and fine lines. • In case you have oily skin then you may apply banana pulp mixed with a teaspoon of non-fat milk and two teaspoons of lemon juice. • Smash a ripe banana, and add a few small pieces of strawberries, two teaspoons of extra-virgin olive oil and three teaspoons of sugar granules in it. Exfoliate your skin with this mask on a weekly basis. • Another easy way to exfoliate your skin is to scrub your skin with a combination of mashed banana and a quarter to half a cup of ground oatmeal. You may also add a tablespoon of whipped cream in this thick paste. • Blend half a banana, half a cucumber, four tablespoons of lemon juice and one tablespoon of orange juice in an electric blender or food processor. Smear this paste on your skin and after half an hour, wash it off with lukewarm water. Here’s a video showing how to make a DIY banana and yogurt face mask. • Blend half a banana, one avocado pulp, two tablespoons of plain yogurt, and a tablespoon of organic olive oil. Leave this paste on your face and neck for 15-20 minutes. Finally, rinse it off with lukewarm water, followed by rose water to tone the skin. Follow this beauty treatment about once in a week to get soft, smooth skin. • Another anti-aging facial mask involves using a mixture of half a banana, and one tablespoon each of fresh orange juice and honey. • Deep condition your hair by applying a combination of banana, avocado, and coconut milk on wet hair for about 20 minutes to nourish damaged hair. • Mash a banana and add three teaspoons of organic honey to form a smooth paste. Leave this mask on dry hair for about half an hour and then shampoo as usual. It helps moisturize your hair. Make sure you dampen your hair slightly before applying this recipe. Similarly, when dealing with issues like frizzy hair, dandruff, and itchy scalp, you can apply a mixture of two ripe bananas and two to three tablespoons of honey. • Take a banana, smash it and add half a cup of plain yogurt in it to reduce hair loss. • Apply banana pulp on dry feet with cracked skin and rinse it off after about 10 minutes. • Simply rubbing the inside of banana peels on the affected area is useful for curing pimples and blemishes. Furthermore, regular consumption of bananas helps protect the cardiovascular system. Plus, this fruit increases the body’s ability to absorb calcium. Hence, it facilitates bone health. In addition, it provides energy, lowers blood pressure, relieves heartburn, heals anemia, and also improves your mood because it contains an amino acid that can be converted into serotonin.